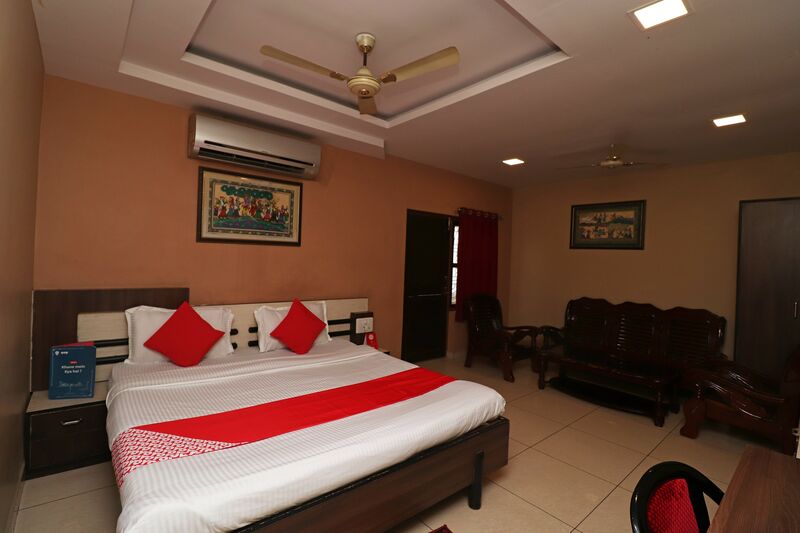 FacilitiesOffering comfort and great services at budget rates, OYO 6815 Shankar Bhavan in Behrampur is an ideal lodging for travelers touring the city. Maintained by a skilled and friendly staff, the OYO ensures you have a good stay.Facilities AC, Geyser, Banquet Hall and more are equipped in our property. Safety measures are taken and facilities like fire safety, first aid and round the clock security are provided for the safety of guests. To provide further assistance to our guests, we have a 24-hour helpdesk on our property.What's Nearby To make the most of your visit, head out to famous tourist spots like Gopalpur Light House.